Soldering Iron Set, Keten 60W Electric Welding Iron Kit, Adjustable Temperature, with 5pcs Different Tips, Disordering Pump, Stand, Solder Wire, Anti-static Tweezers for Variously Repaired Usage . 1. Convenient temperature switch. 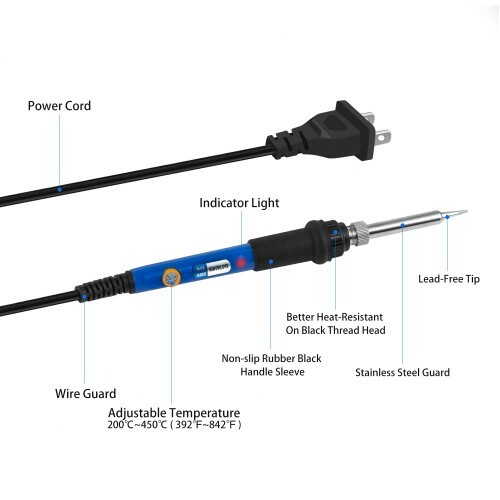 Adjustable temperatures with LED indicator is 200~450℃ (392℉ to 842℉). The iron has enough heat to melt solder; connectors can be removed off from circuit boards with the pump. 2. Heat Up Quickly. 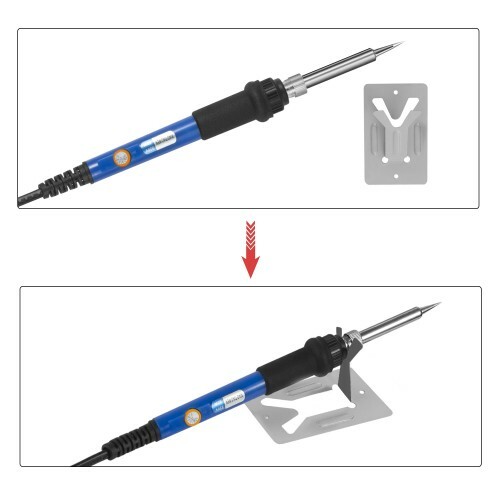 The 60w soldering iron heats up very fast with inner-heated ceramic induction technology. Solder iron can be melt within 1 minute when powered up. 3. Energy Saving and efficiently working. Power consumption is 50% percent lower than ordinary electric iron. 4. 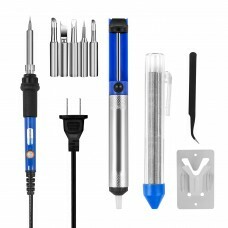 Easy to use: no need soldering station, just plug and play. 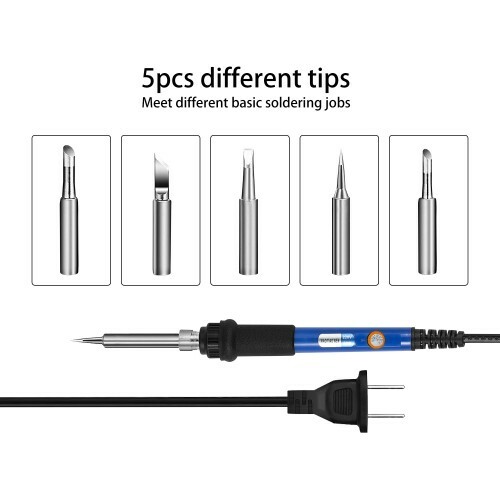 Including 5 soldering iron tips in order to meet different soldering job. 5. Special instruction. Soft grip handle design for maximum comfort and reduced slippage. This is one set of electrical maintenance tools that mainly used for various repaired jobs. It has a special thermostat circuit to control the temperature between 200-450 degrees centigrade which also ensures the products and the properties of the stability and reliability. Besides, the power is strong enough to solder some big welding materials. 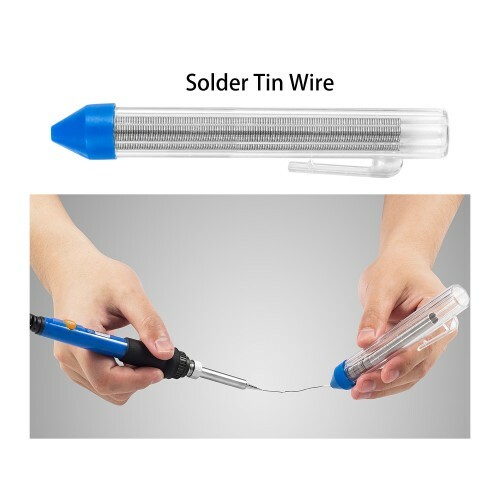 Soldering Iron Length: 7.7 In. 4. Apply flux-core solder to heated parts (not tips) and heat it up till solder melts and flows freely. Please notice that when you solder as normal, please adjust the temperature between 200-300℃. The temperature cannot stay at a high degree for a long time. 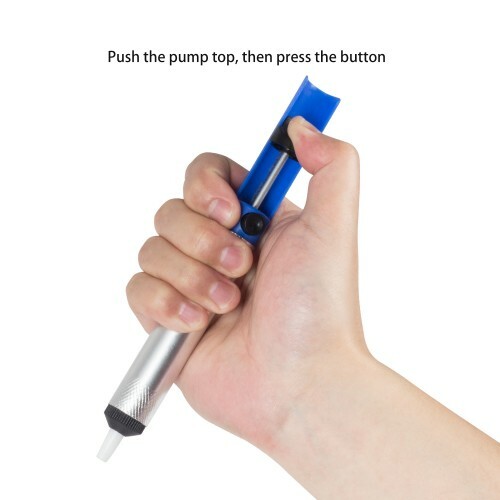 When you don't use it, please just adjust the temperature to the lowest degree(200℃), which will help extend the life of iron tip and this tool. 1. When the soldering iron is plugged in for the first time, there will come out a smoke from the tip end. The smoke will stop in a short while and a smoke would never come out again. 2. Use soldering stand and other aids to avoid burnt fingers. 3. Don't pull the soldering iron tip outward and use it in that way, which will shorten the heating element life. 4. Don't apply too much solder unnecessarily. 30 days money-back and 12-month, worry-free Guarantee. Please buy with confidence and don't hesitate to contact us if having any question, we'll get back to you within 24 hours.